Interactive psychology of the generations. 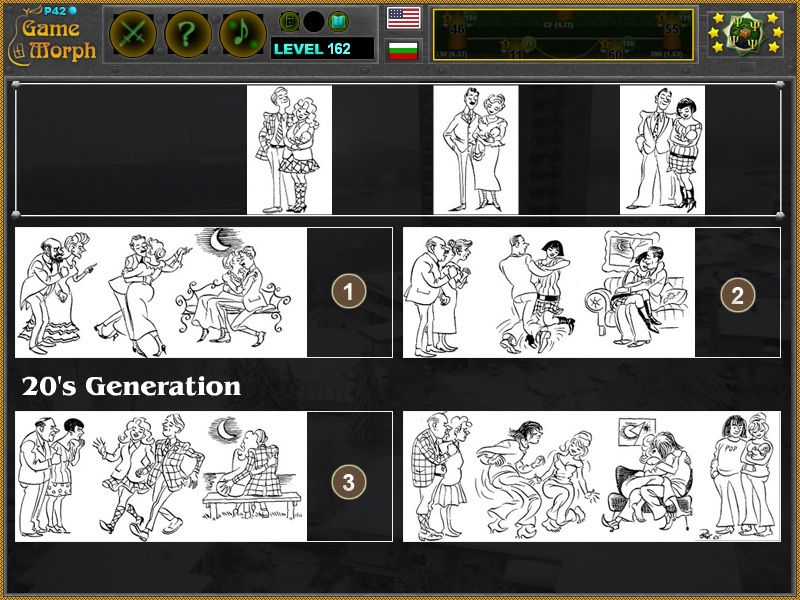 "Generations" is a free online psychology game to explore and study the psychology of generations with interactive Bidstrup cartoons. Sort the missing cartoon stage in the correct generation. Fun educational psychology game, suitable for online lessons and interactive classes. Drag and drop the picture in the correct scene. Minute to win it game. Bidstrup tiles game. How to play Generations Game. There are four scenes in the middle of the screen. The first drawing is of the old generations how they look at the yaoung. And there are 4 pictures, on the top, to complete each generation scenes. Drag and drop the picture to the appropriate generation. The fourth picture should complete the situation. Know the psychology of generations and get +1 Knowledge Level. Class subject: Psychology of Generations. Previous generations always thing the next generation is not good enough. If you hear from someone that the youngs are now wilder and break rules, someone have said the same for them when they were younger. This have probably continied since ancient times, but there is no data prior the formulation of psichology science. A generation is "all of the people born and living at about the same time, regarded collectively". It can also be described as, "the average period, generally considered to be about thirty years, during which children are born and grow up, become adults, and begin to have children of their own".